Saving in Kingdom Come: Deliverance is not easy, and from what I’ve seen this morning is one of the biggest gripes the player-base has with the game. Fortunately, modders have already stepped up to make the whole process a lot easier, allowing you to save your game anytime, anywhere. 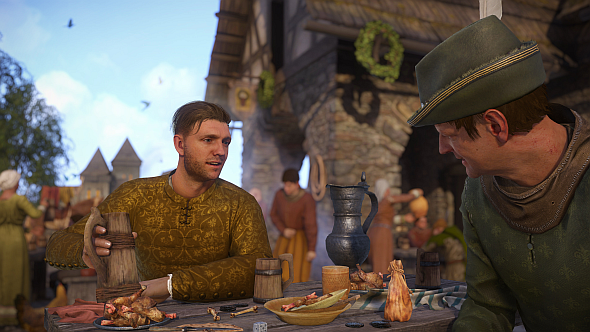 Here’s our Kingdom Come: Deliverance PC review in progress. Currently, there are three ways in which you can save your game in Warhorse’s historically-accurate medieval adventure. There are mid-quest checkpoints, as you would probably expect, and you can save by sleeping, but due to the time-based time-based nature of some of the quests, that often causes you to fail. The only other option is to drink a potion called Saviour Schnapps. You can carry three of these at once, and after you’ve used up the quota you’re allocated at the start of the game, you’ll have to brew or buy more of them. All in all, it’s a pretty restrictive system, making it pretty easy to lose sweeping chunks of progress. Thankfully, a modder has stepped in to add a mod allowing for unlimited saves. The simply-named ‘Unlimited Saving’ mod “will allow you to save anytime the game would normally allow you to save, without using up your Saviour Schnapps.” By ‘anytime’, I assume the modders, who go by EddieShoe and Biosmanager on nexusmods.com, mean you can’t save during cutscenes or similar, but pretty much any other time during the game. Your other option is to edit the game files via Steam (here’s a guide on how to do that), but that’s significantly more complicated, and potentially game-ruining, so I’d advise caution. The mod reportedly works absolutely fine, although there’s a chance future patches could mess it up. You’ve got a good two weeks before that patch drops, however, so for now the mod seems like the best bet.